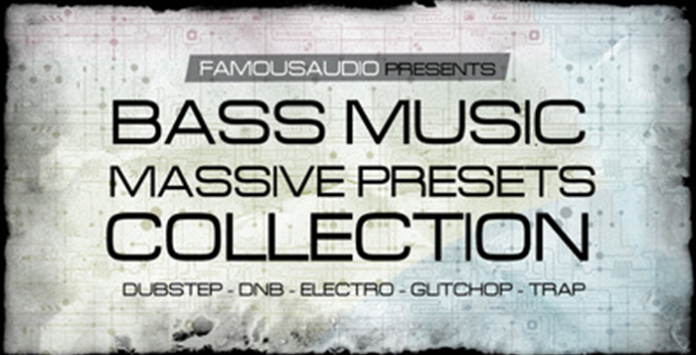 Famous Audio proudly present an awesome collection of Massive presets gathered from our presets series. Bass Music Massive Presets Collection features 75 massive presets hand-picked from a selection of our most popular presets packs released to date. In detail expect to find 40 Basses, 12 Monophonic Leads, 10 Polyphonic Synths, 10 Effects and 3 Arpeggiators. Perfect for pro users who need high quality sounds, as well as for the beginner who needs the most usable sounds to make any track sound like the pro’s. All sounds use the Macro Control Knobs and are very versatile to give you many thousands of different possibilities within each patch, and the ability to evolve your sound on the fly! They can be used with Massive 1.3.0 or higher. Try to be more creative with this pack and learn the new possibilities of your favourite VSTi! All Massive Presets featured in this pack are taken from the following released packs. It’s an essential addition to any Massive user’s arsenal making cutting-edge Dubstep, Electro, D&B, Drumstep, Glitch-hop, Trap and many other styles. Inspiration from biggest artists such as Skrillex, Knife Party, Kill The Noise, Koan Sound and many more.